The 700+ hedge funds and money managers tracked by Insider Monkey have already compiled and submitted their 13F filings for the third quarter, which unveil their equity positions as of September 30. We went through these filings, fixed typos and other more significant errors and identified the changes in hedge fund positions. 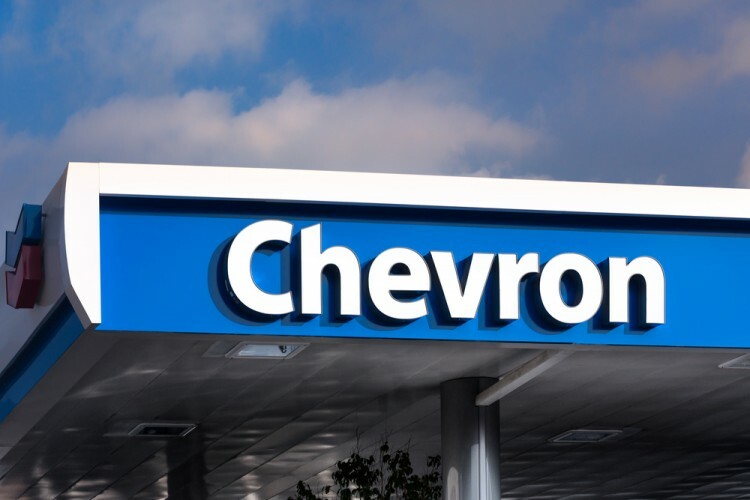 Our extensive review of these public filings is finally over, so this article is set to reveal the smart money sentiment towards Chevron Corporation (NYSE:CVX). Chevron Corporation (NYSE:CVX) investors should pay attention to an increase in enthusiasm from smart money in recent months. 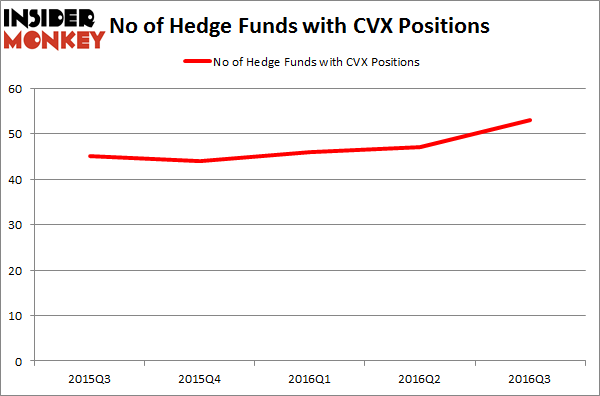 CVX was in 53 hedge funds’ portfolios at the end of the third quarter of 2016. There were 47 hedge funds in our database with CVX holdings at the end of the previous quarter. The level and the change in hedge fund popularity aren’t the only variables you need to analyze to decipher hedge funds’ perspectives. A stock may witness a boost in popularity but it may still be less popular than similarly priced stocks. That’s why at the end of this article we will examine companies such as Alibaba Group Holding Ltd (NYSE:BABA), Novartis AG (ADR) (NYSE:NVS), and The Coca-Cola Company (NYSE:KO) to gather more data points. With all of this in mind, we’re going to check out the fresh action regarding Chevron Corporation (NYSE:CVX). What does the smart money think about Chevron Corporation (NYSE:CVX)? At Q3’s end, a total of 53 of the hedge funds tracked by Insider Monkey were long this stock, a 13% increase from the previous quarter. With the smart money’s sentiment swirling, there exists a few noteworthy hedge fund managers who were boosting their stakes significantly (or already accumulated large positions). Of the funds tracked by Insider Monkey, Phill Gross and Robert Atchinson’s Adage Capital Management has the biggest position in Chevron Corporation (NYSE:CVX), worth close to $392.1 million, amounting to 1.1% of its total 13F portfolio. Sitting at the No. 2 spot is Ken Fisher of Fisher Asset Management, with a $371.4 million position. Other members of the smart money that hold long positions comprise Daniel S. Och’s OZ Management and Cliff Asness’ AQR Capital Management.